During my last running session (that’s the short answer to the question above). That was the ‘usual’ time when I contemplated. The conversation ranging from a ‘small talk’ to ‘in-depth discussion’ and even to a ‘lively debate’ (me vs myself). I guess the so called ‘runners high’ (serotonin, dopamine etc) helps a lot to drive a healthy ‘conversation’ which usually brings refreshing ideas. 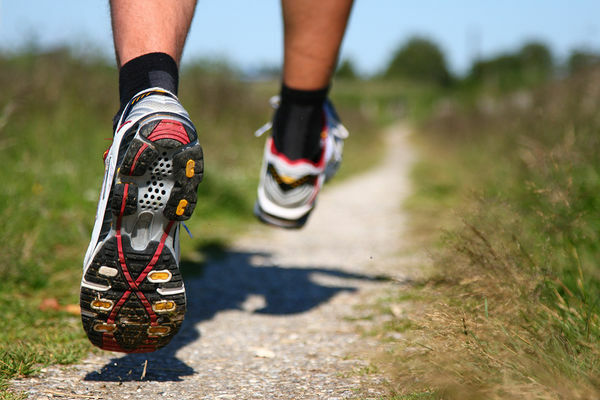 So, if you are in a dire need of a refreshing or brilliant idea, then simply lace up your running shoes and enjoy that ‘zen’ feeling (which usually hits when you reach 3 to 4 km’s) to get you in the zone. There are those days when you feel too tired or too busy or basically either so ‘lethargic’ or not in the ‘mood’. If only there’s a ‘magical’ well or ‘fountain’ that we can always revisit to get the ‘magical’ water which does its wonder in re-energizing our tired or lethargic body (or soul). Imagine drinking that ‘magical’ liquid. Imagine the fluid replenishes all the ‘parched’ organs..
Not only that it hydrates our physical being, it also ‘fires up’ our spirit. I am no Tony Robbins or anywhere close to being an NLP certified trainer. However, I do believe in ‘mind over matter’. Now imagine your ‘energy water’ of choice. A Great Start of Q2 2012! It’ s been a ‘ritual’ in the past 2 years that I spent the 1st to 3rd of April in a neighboring country to go through our annual plan. To be fair, it was a great learning experience on the process to develop corporate strategy and construct the operational plan which supports the execution of the strategy. This year, it’s totally different. I got to spend the entire 1st April with the beloved family. They went to my 5K run race (http://www.timmau.org/maserati5k/confirmed.php) in the morning and gave a huge moral support. I got to see my wife and son after reaching the finish line. Then we had a nice breakfast afterward. After all, we are working to live, right? To live with our loved ones. P.S. I was late in starting the race due to some hiccups in the morning (Oh, well.. It was a great run nevertheless). 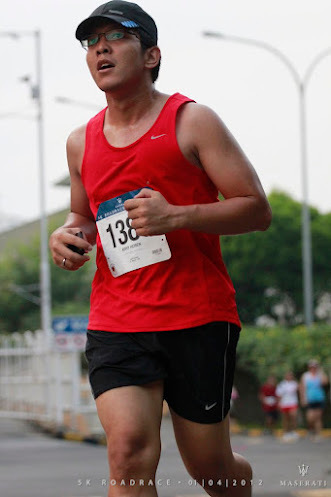 I only started runnning when the first runner reached the finish line.